• The HP Webcam HD 2300 works with most major video calling services. 1-click upload to Facebook makes it easy to share. (1,2) Plus, a quick-launch button grants fast access to important tasks. • Image-enhancing 720P 16x9 widescreen HD highlights the HP Webcam HD 2300. Versatile clip mounts anywhere. 360° pan & 30° tilt adjusts to your needs. Directional mic cuts background noise. • Clean lines. Streamlined shape. Light and ultra-compact size. 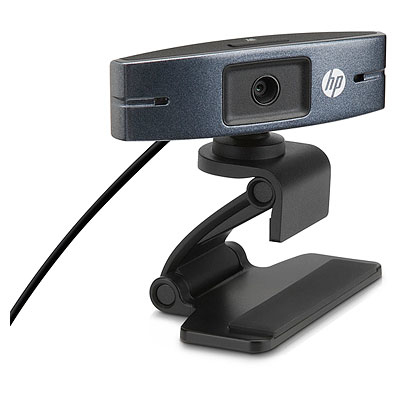 The HP Webcam HD 2300 is small, space-saving and adds fun to any environment.